Democrat Senate candidate Beto O’Rourke has promised to impeach President Donald Trump if elected this November. 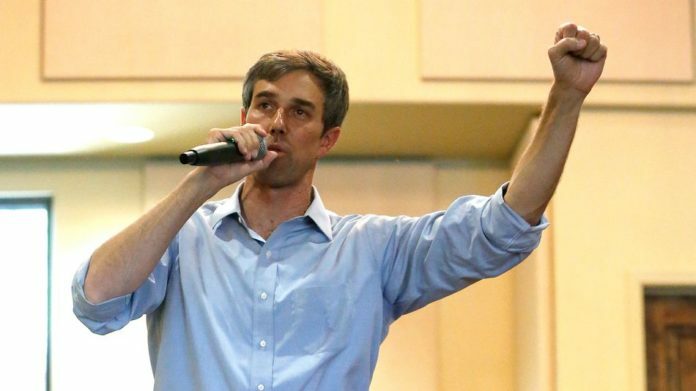 O’Rourke, who’s running against Sen. Ted Cruz, told CNN that Trump should be impeached, claiming “there is enough there” to begin the impeachment proceedings immediately. “There may be an open question as to whether the president, then the candidate, sought to collude with the Russian government in 2016,” the Democrat continued, pointing to the investigation into the Trump campaign’s alleged collusion with the Russian government during the 2016 presidential election. O’Rourke was pressed whether he would still vote for impeachment of the president without seeing the conclusions, to which O’Rourke answered that there’s enough proof to begin the impeachment process. “I would liken impeachment to an indictment. There is enough there to proceed with the trial for a full vetting of the facts and to make the best-informed decision in the interests of this country and our future,” he said. O’Rourke’s unapologetic support for Trump’s impeachment signals the changing tide among Democrats. While a number of Congressional Democrats introduced efforts to impeach the president, the Democratic leadership is wary of such drastic measures amid fears it will backfire politically. Former Vice President Joe Biden said in an interview on Wednesday that he hopes the Democrats won’t try to begin the impeachment process if they retake the House of Representatives in the midterm elections. A recent Quinnipiac poll shows Cruz leading the Senate race by 9 points, but O’Rourke holds a 24-point lead among Hispanic voters. Did The EPA Intentionally Pollute Animas River?